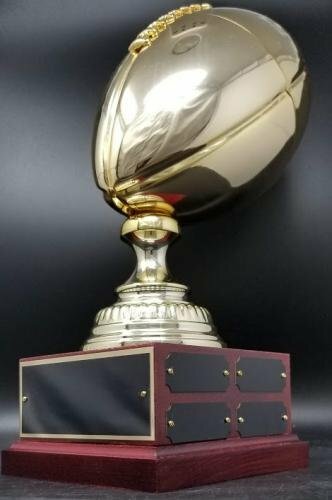 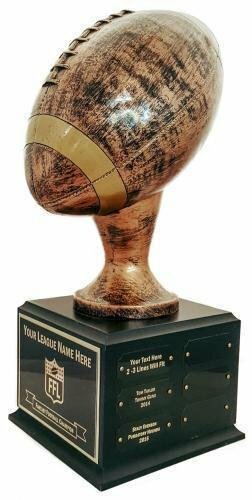 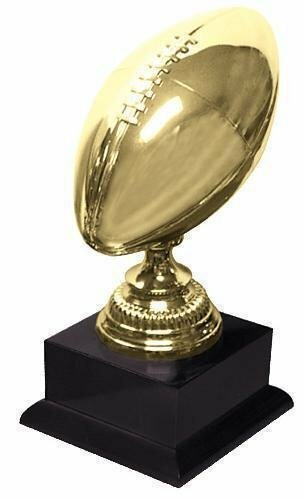 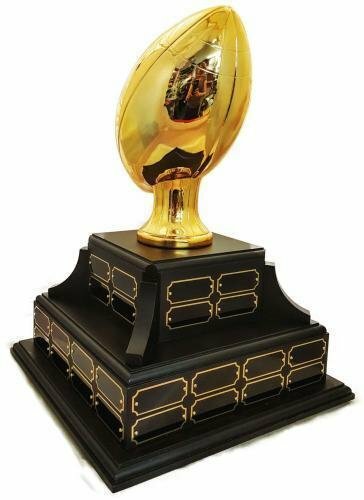 This is a 17" tall Powder Puff Football Trophy. 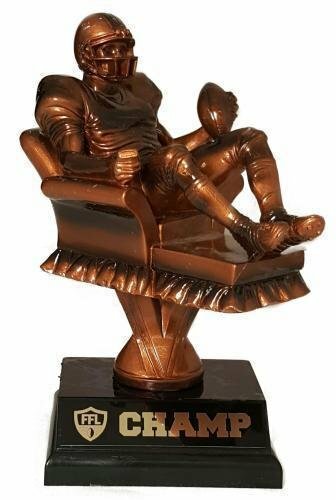 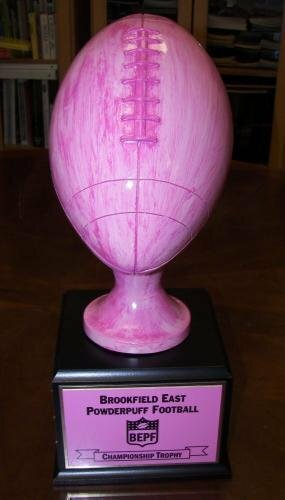 The trophy has a pressboard base (7" Square), painted black, with a Pink Finished Resin Football. 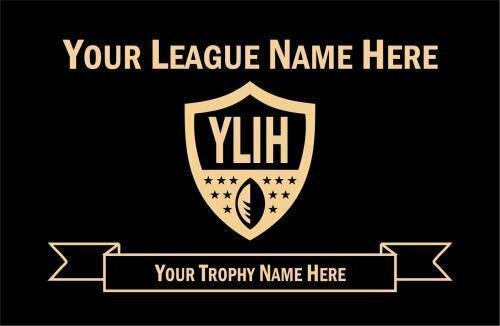 Includes a pink header plate personalized with your league info. 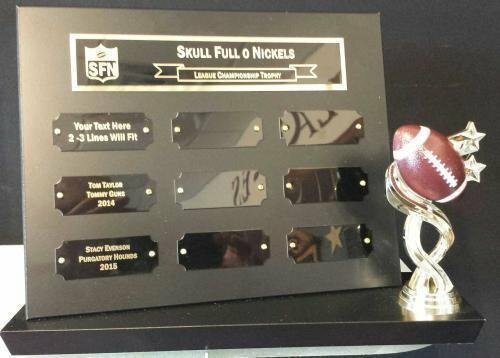 Comes with 18 individual plates for annual updates. 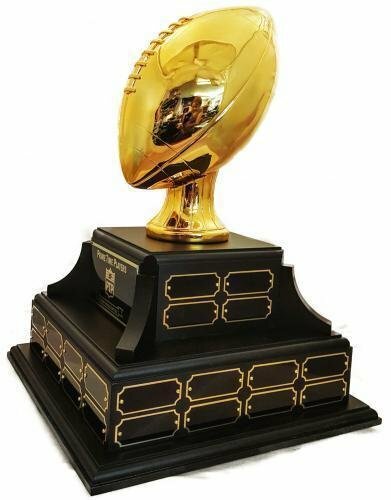 This is the ultimate football trophy! 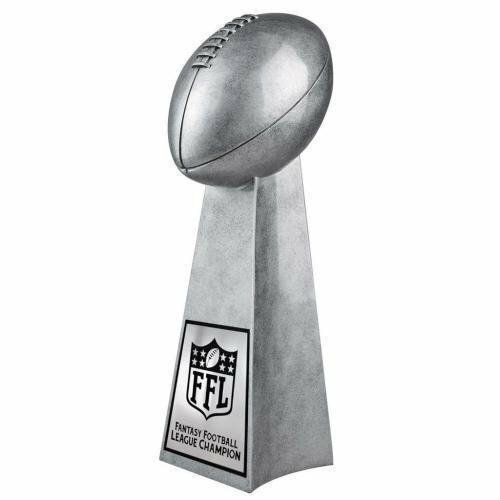 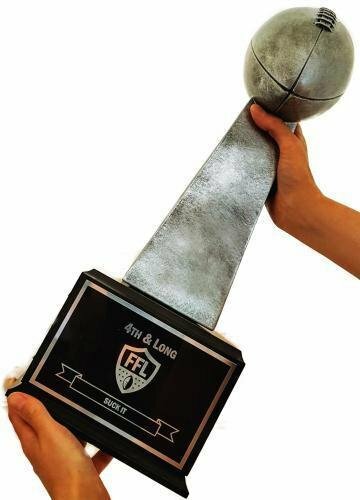 Polished stainless steel football trophy, perfect for seriously competitive leagues. 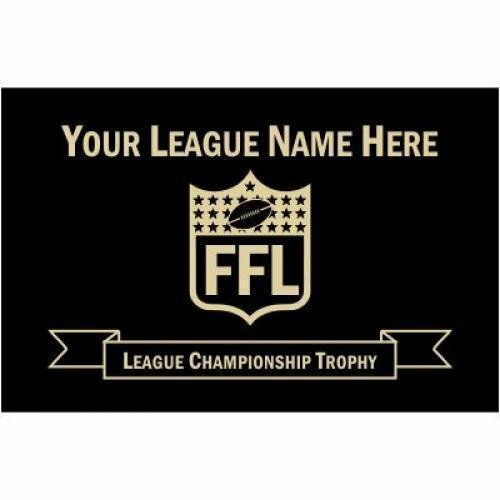 Made of stainless steel, highly polished, very heavy, on a triangle shaped wood base with a plate naming the league. 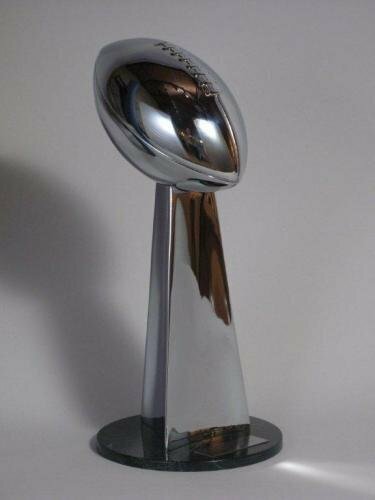 14" high. 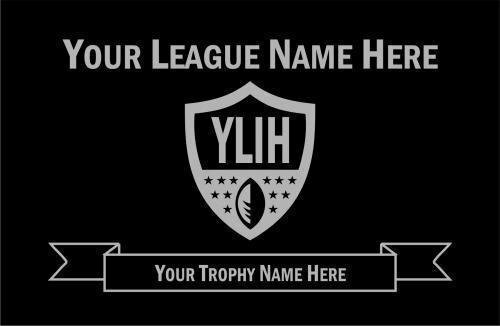 These quality trophies are made to order, so plan on 4 week lead time. 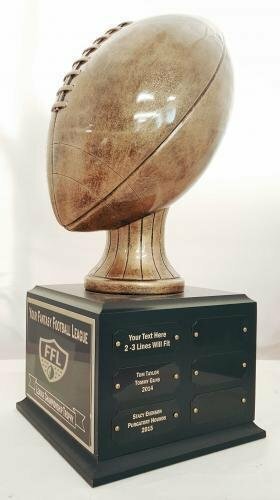 Production lead time for this trophy is 28 days. 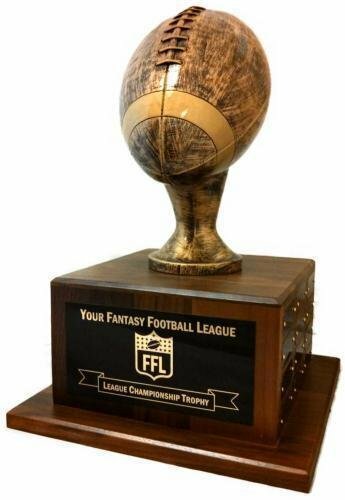 This is a great premium option for your fantasy league. 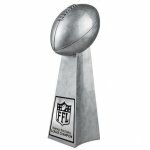 This product includes an engraved header plate on the front of the trophy and 4 individual plates on the other three sides, so it will last up to 12 years. 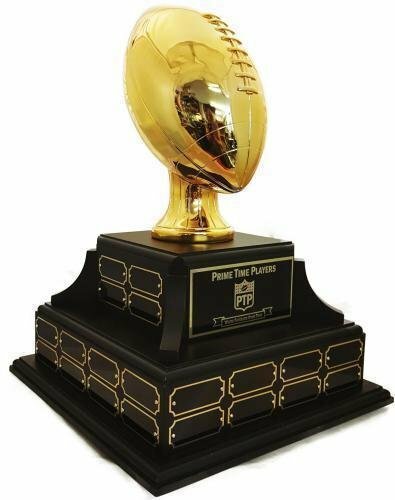 Jumbo Hand Polished Brass Regulation Size Football on Rosewood Finish Base.